Klaressa Williams describes herself as a shy girl. The 2011 East Gadsden High School graduate spends her free time cooking, cleaning, and working on her compute. But that doesn’t mean she is happy doing just that. Her mom, Bonnie Williams, said her daughter can be quiet and keep to herself. 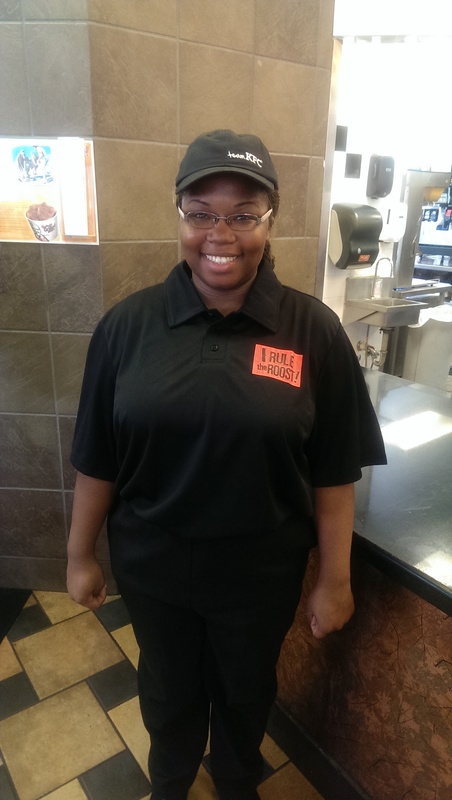 The 23-year-old wasn’t interacting with people on a daily basis until she started working as a dining room attendant at a Tallahassee KFC this year. “Klaressa is more sociable and happy in the moment with her new job,” Williams said. Klaressa Williams receives services from the Agency for Persons with Disabilities. October is National Disability Employment Awareness Month, and APD is highlighting the workplace achievements of people with developmental disabilities. Hank Martin, the KFC general manager said Williams was a great interview and he was glad to hire her. Not only has this changed Williams’ life, but KFC has also benefited from having her in the dining room. She takes great pride in keeping the restaurant clean. Customers have noticed and like the changes they have seen since her arrival. The agency has a program designed to help its constituents with disabilities find employment. The Employment Enhancement Project is funded by the Florida Legislature. It helps students transition from high school to work by providing a supported employment coach, transportation assistance, and anything needed to help in the job training process. This program is beneficial to both employers and the new employees alike. APD’s job coaches seek out businesses in need of an extra smiling face who is willing to work hard with a great attitude, while a lucky young person, like Williams, gains a new way to attain job skills.